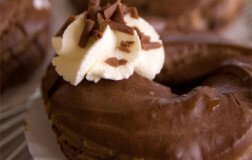 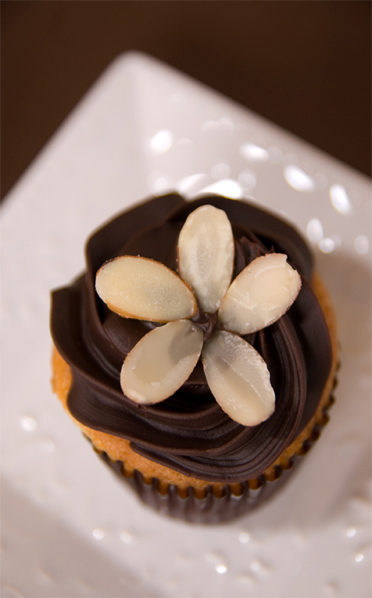 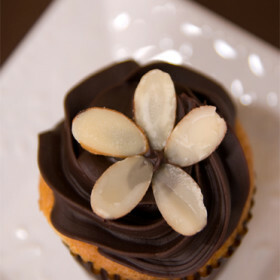 Be the first to review “Almond Cupcakes” Click here to cancel reply. 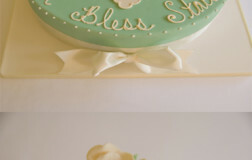 A simple scalloped cross sits atop a round tier covered in a pop of colored fondant. 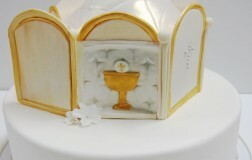 These cakes were a series of cakes that we customized to mimic the Communion Dress. 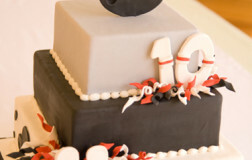 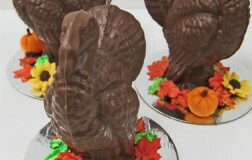 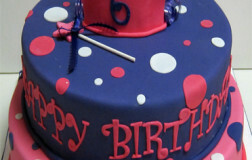 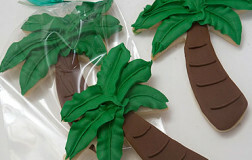 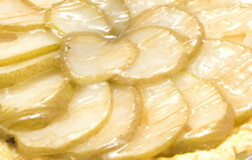 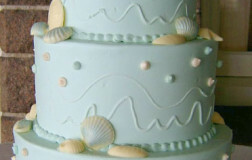 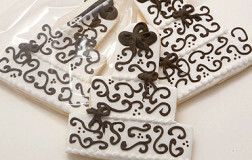 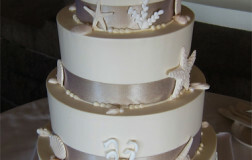 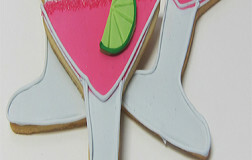 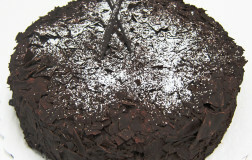 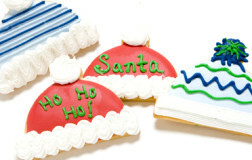 Some of the other design elements used to decorate the cake were inspired by other details used in decorate the venue. 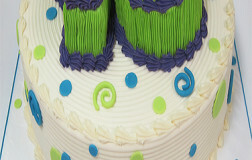 Each cake was part of a "puzzle piece" and aided in the visual display when it was set up in the room. 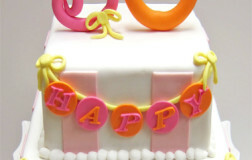 Make a splash with this bright and fun bathing suit birthday cake! 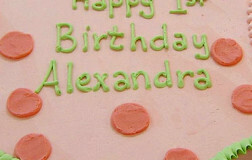 Customizing the Adirondack Chairs is a very personal touch to this cake. 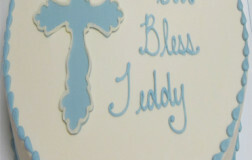 Colors and accents can all be customized. 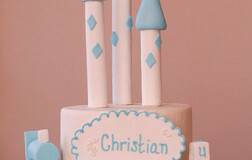 Celebrate your baby in style with a cake fit for a prince! 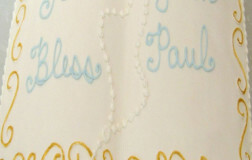 Accents of blue are a subtle touch to this simple cross cake.